SUPER VALUE. 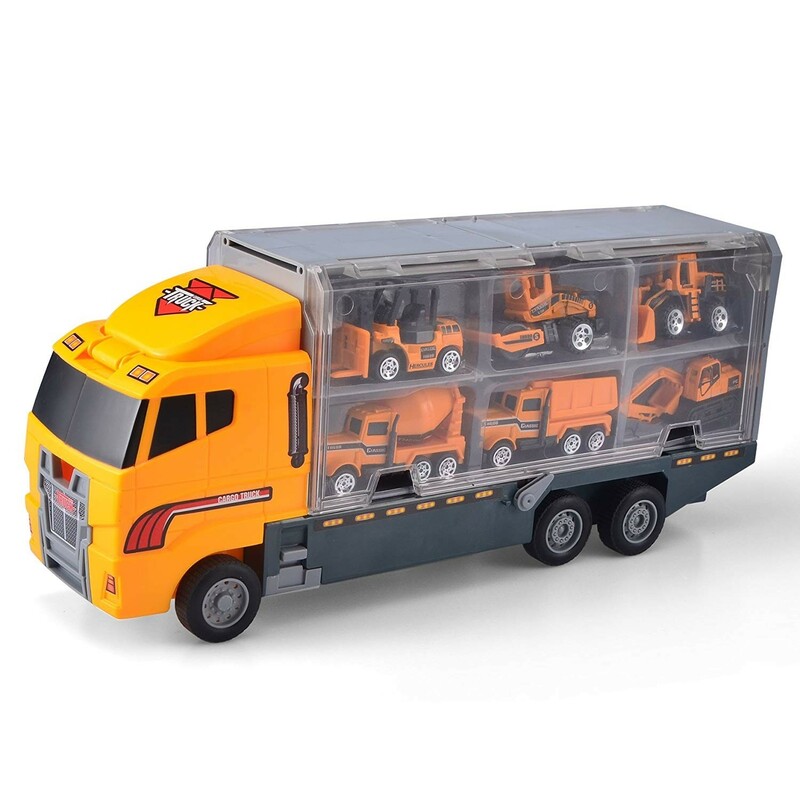 11 Mini Construction Truck Toy Set in Various Designs and Functions in One Carrier Truck. Including Helicopter, Wheel Loader, Dump Truck, Bulldozer, Excavator, Mixer, Backhoe, Road Roller, etc. IDEAL For Kids Playing Construction Trucks. Encourages coordination for early toddlers and children. PERFECT for Birthday Party Favors, Cake Toppers, Car Seat Toys. UNIQUE FUN IN EVERY VEHICLE. Each Construction Truck Has its Own Function, Numerous was to play when playing these different trucks. Prefect for Practice Solo Construction Skills or Share with Friends and Family.